Q-net Pro monitoring alert SH43 - Q-net International Ltd. In the Q-net Pro monitoring alert module the system is prepared to monitor certain customer-flow events and give selectable and configurable reactions. 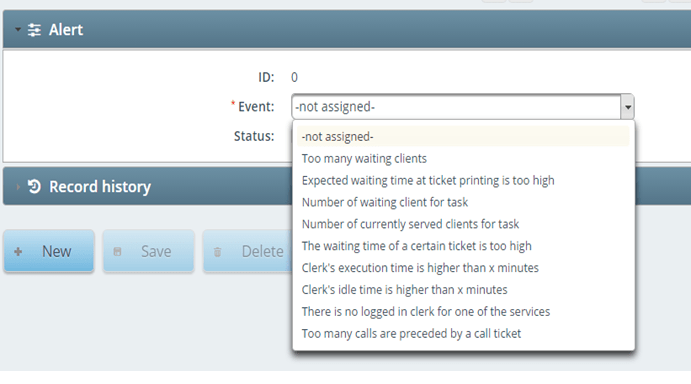 Any of the events can be selected and the logical reactions configured. 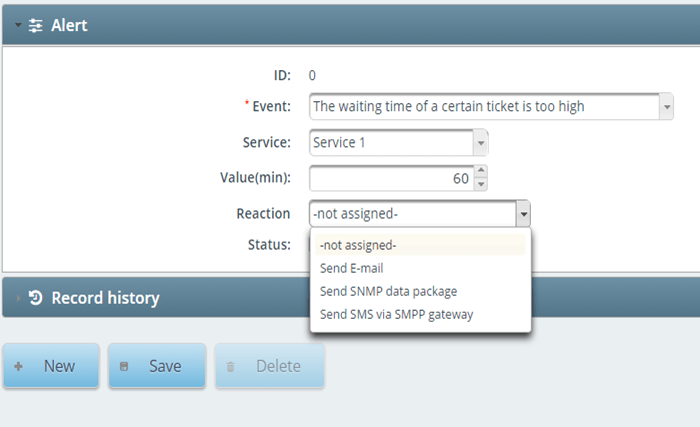 For example if the waiting time of a certain ticket is too high an E-mail, or SNMP datapackage or an SMS via SMPP gateway class=” wp-image-1052 aligncenter”can be sent. In case an end user request a new value / event that has to be monitored we are open to include it into the events and include new reactions if necessary.